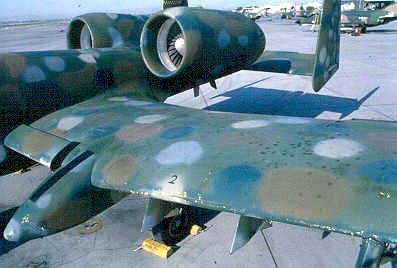 Of the four aircraft painted in these spotted schemes, 75-259 has always been my favorite. 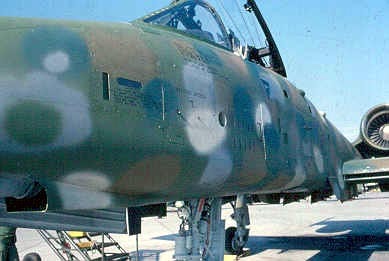 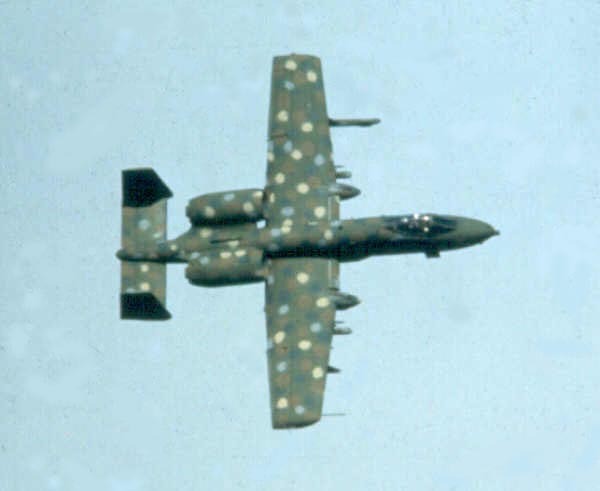 It was the only aircraft to carry all five ground attack colors, with spots of gray 36213, dark green 34092, brown 30118, and tan 30227 applied over a base coat of olive green 34102 applied in the autumn of 1977. 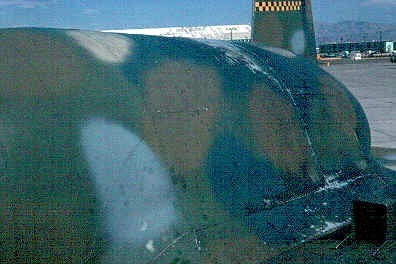 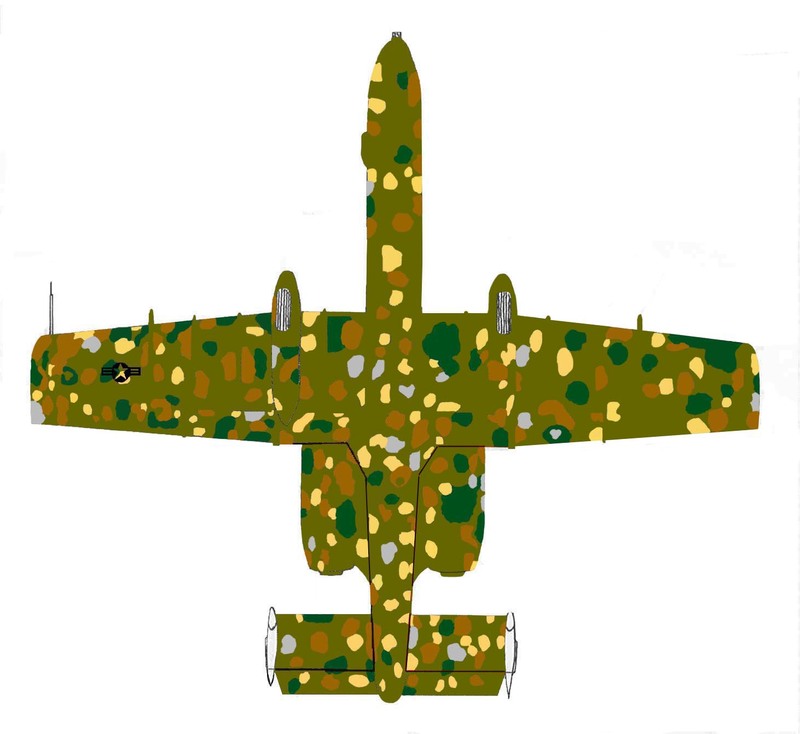 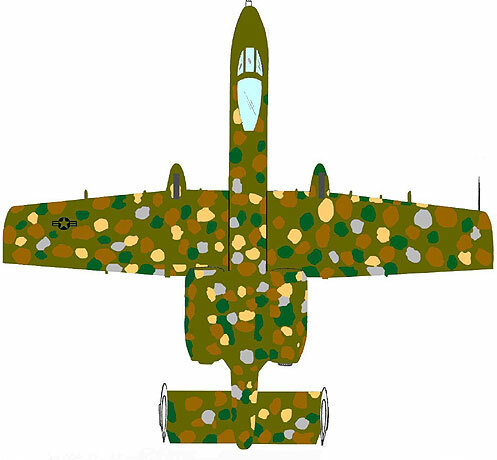 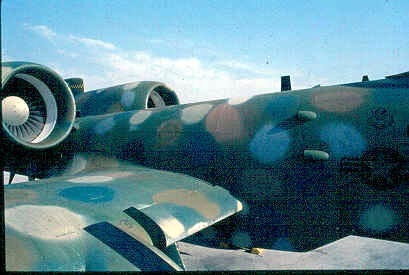 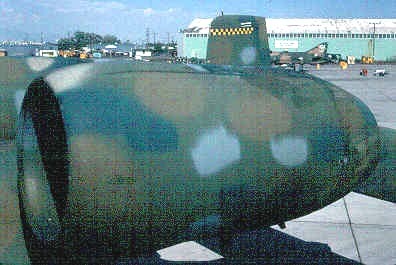 There is some discrepancy as to the original scheme worn by 259 - a minor issue when modeling the aircraft, since the delivery colors show through the JAWS camouflage in several sections. 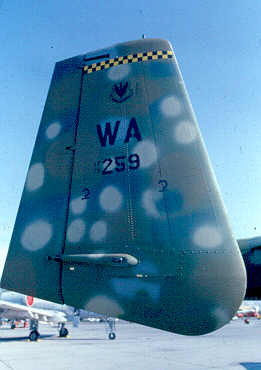 Air Force records show that the aircraft was accepted on 19 December 1975 wearing 36375 Light Ghost Gray overall. 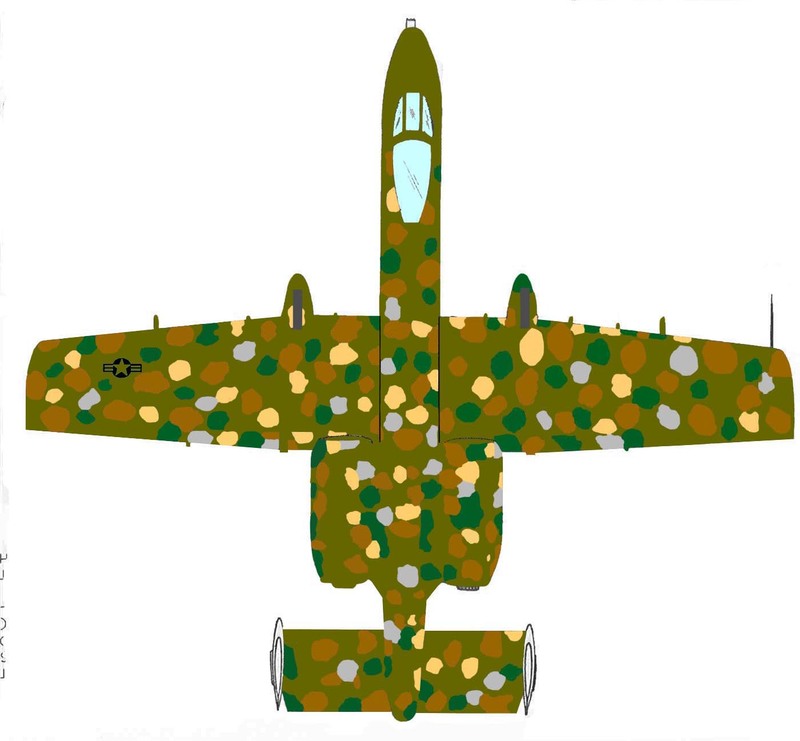 Fairchild factory drawings show the aircraft delivered in overall 36320 Dark Ghost Gray. 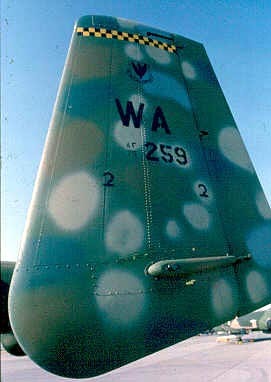 259 would later be used as a test bed for the European I scheme in late 1978. 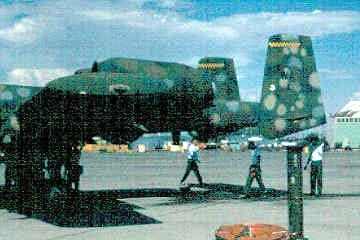 Delivered as the second production airframe, 259 actually carried many of the same features as the six preproduction airframes. 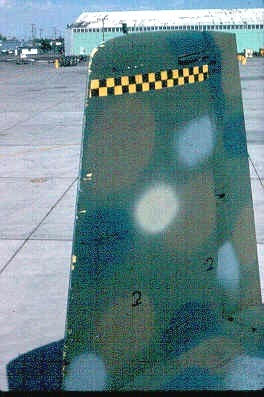 Since its flaps had been designed to extend 30 degrees (not 20 degrees, as on later production airframes), small flap guided extended beyond the trailing edge of the wing, even when flaps were fully retracted. 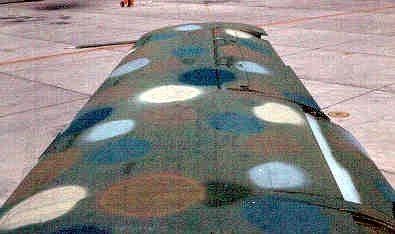 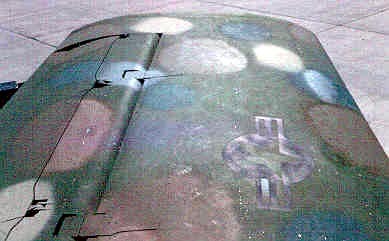 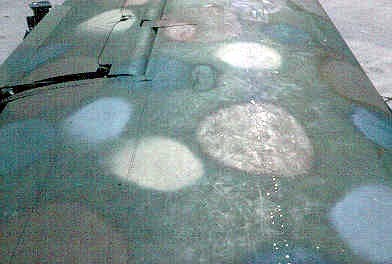 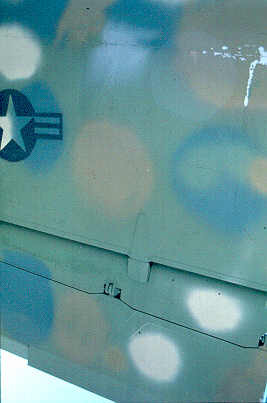 Camouflage drawings of the color scheme and photographs of the camouflage details are provided below. 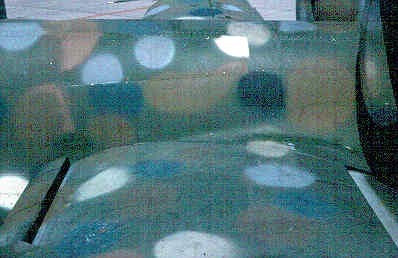 Click the thumbnails below to view the larger images. 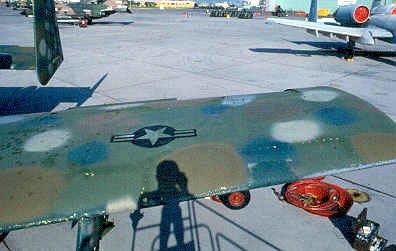 Use your browser's "Back" arrow to return to this page. 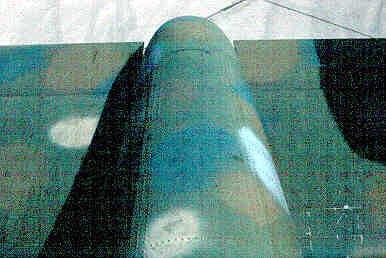 Note the antenna positions beneath the forward fuselage, standard for early production airframes. 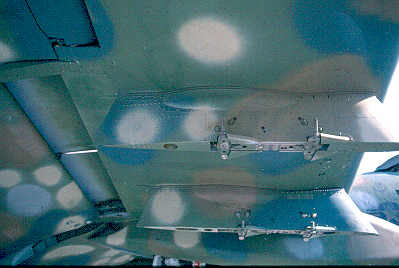 The dorsal formation light/rearward flood light was originally positioned between the two dorsal antenna, as seen in this view. 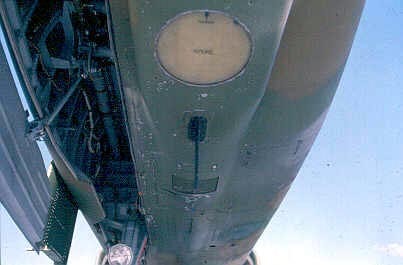 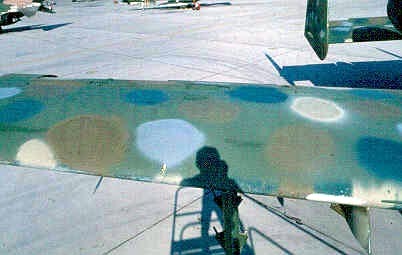 The unpainted yellow disc on the gun faring was the antenna for the UHF Automatic Direction Finder. 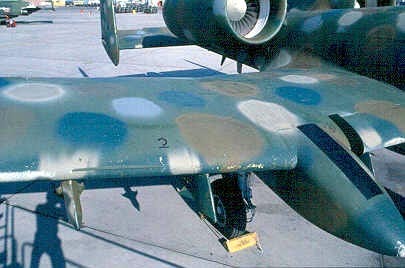 The small spike atop the right vertical tail was the X-Band radar antenna. 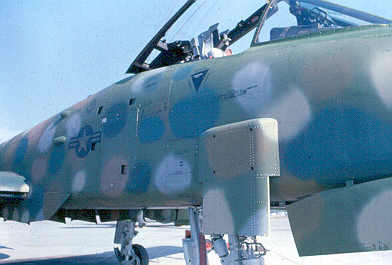 This feature was delivered on production A-10s, but usually deleted.